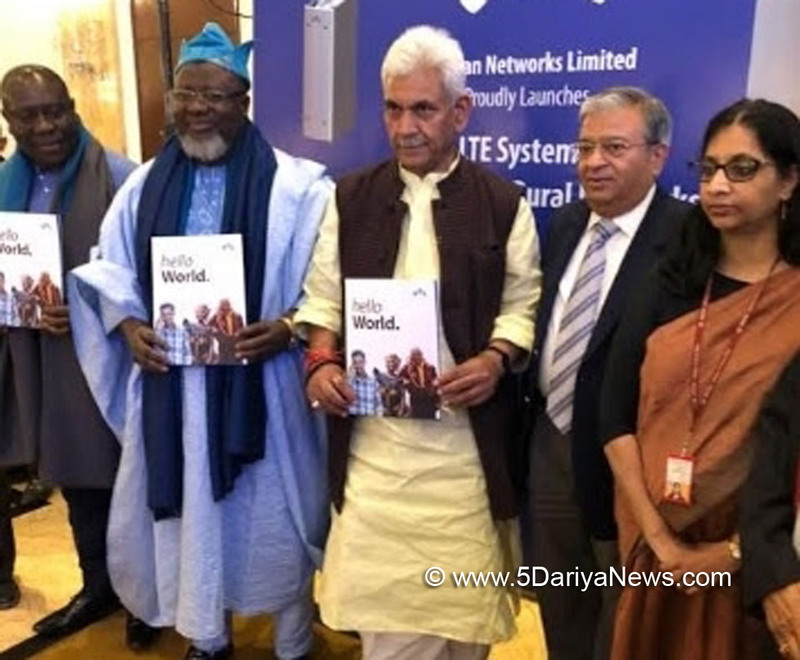 In an effort to provide high-speed connectivity in rural areas, domestic telecom equipment manufacturer VNL on Friday unveiled a "Made in India" 4G LTE telecom system.The system ensures seamless connectivity at affordable prices. It has Access and Core network elements which are power efficient and optimised solutions help sustainable mobile broadband services for remote and rural deployments, the company said in a statement.Telecom Minister Manoj Sinha launched the 4G/LTE telecom system at an international buyers-sellers meet here. "The latest range of technologically robust 4G/LTE telecom products is the outcome of our strong in-house R&D capabilities and signify India's inherent strengths in the area of telecom equipment manufacturing," said Rajiv Mehrotra, Founder Chairman of VNL. "These systems offer compact and versatile radio applications and can operate flawlessly even in harsh environment," he added.The system can also be deployed for applications in the fields including emergency communication, offshore oil fields, mines and for institutional requirements.According to a latest Nokia report, the LTE-capable device base grew to 218 million in 2017, with 74 per cent being Voice over LTE (VoLTE) capable as well.